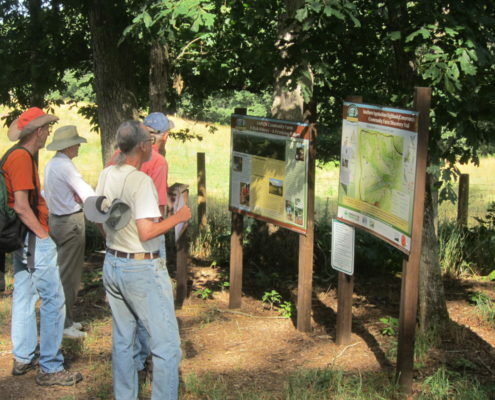 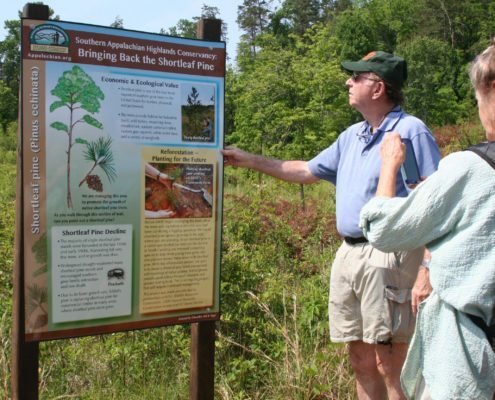 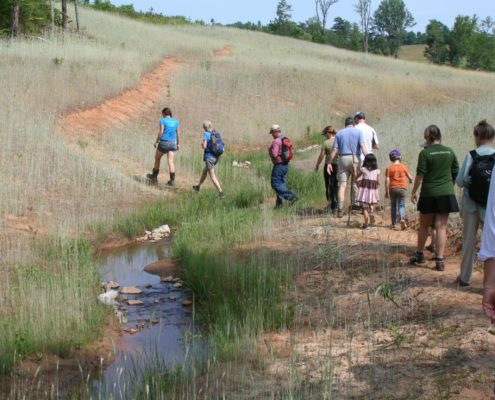 This 1.5-mile educational trail meanders across our 103-acre Community Farm, with interpretive signs along the way that illustrate the history of the farm, local wildlife, agricultural best management practices, and our stream and shortleaf pine restoration projects. 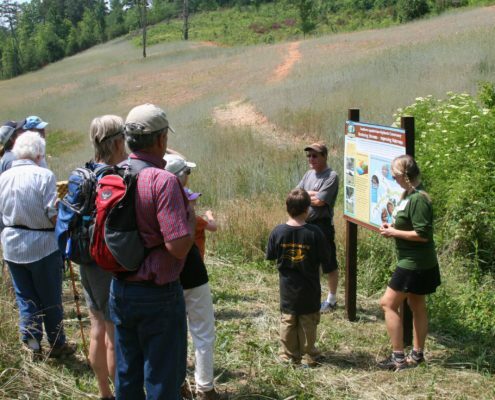 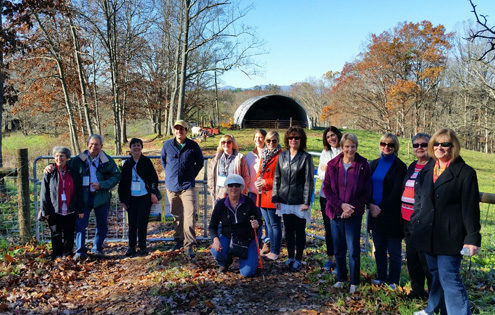 We offer guided hikes along the Discovery Trail and tours of the farm throughout the year. 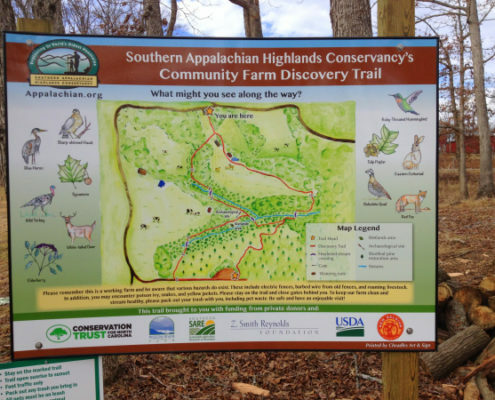 Our Discovery Trail was created with community support in the form of over 1,000 volunteer and contract hours. 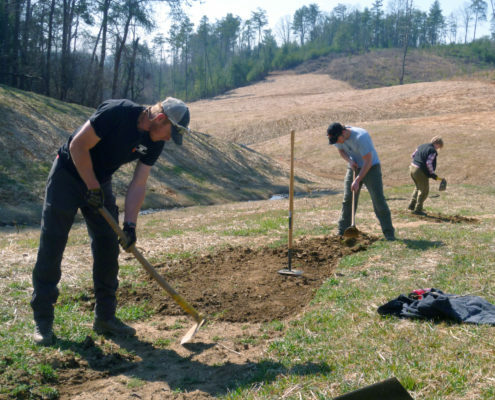 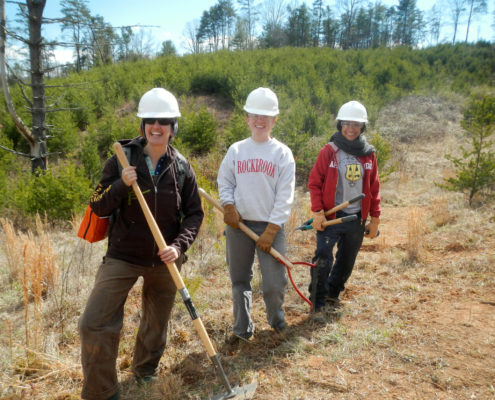 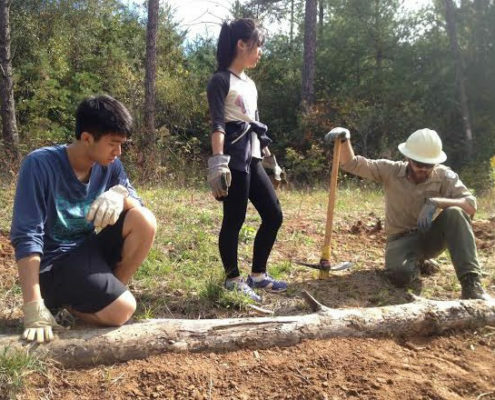 Partners from AmeriCorps Project Conserve, French Broad River Academy, local universities, and other non-profit groups have donated their time. 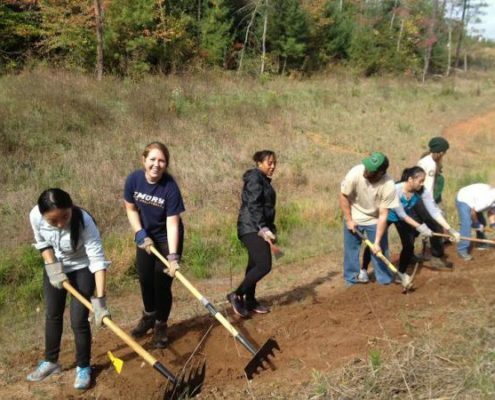 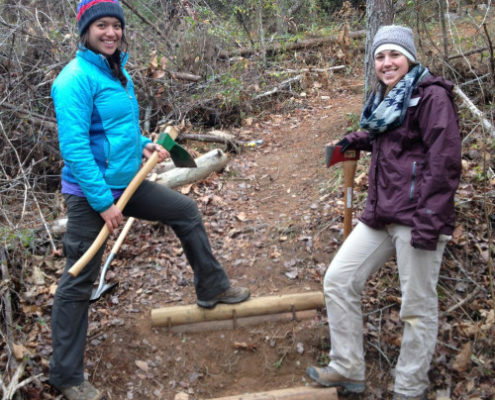 In addition, SAHC was able to employ a crew from Green Opportunities (GO) to tackle a large portion of the trail construction. 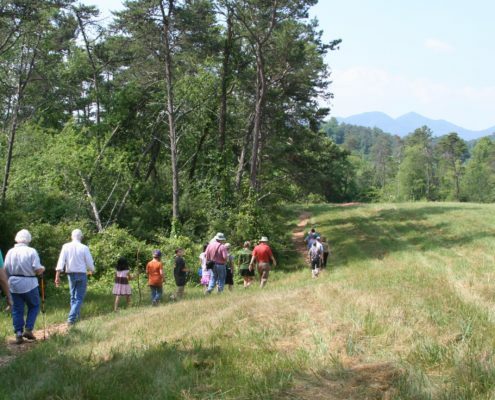 GO is an Asheville based organization that helps youth and adults living in poverty get and keep jobs that support their families and improve community and environmental health.